Jack, Scarlet and Mr Doyle return for their next action-packed adventure. When the world's deadliest assassin, the Chameleon, escapes from prison, Jack begins his most dangerous investigation yet. With only the scantest of clues, the team travels from London to New York, a bustling metropolis filled with airships, steam cars and exciting new ideas. Here they uncover a terrible plot that threatens the president's life and brings the nation to the brink of civil war. Can Jack track down the Chameleon in time? And just what is the mysterious whip of fire that has the power to wreak destruction across the world? Jack and Scarlet are now working alongside eccentric detective Ignatius Doyle, when a childhood friend from Jack's days of being a circus performer falls on their doorstep. He's been attacked. Two doors... Chameleon... An Eagle... Whip of Fire... Liberty. Those are the dying words of Frankie, but what does it all mean?The Chameleon is a known felon who is due to be transported by authorities. But before he can be secured, he escapes and the detective and his young protégés are off on their next case. This may be the most dangerous one yet. The search for Frankie's killer now spans and ocean, with the group traveling from London to New York. America is on the verge of a civil war, and it seems that Frankie's life may have been one of just many spoils. They call themselves the Southern Liberation Army, a radical group that were formed after the last civil war and are pushing for a separate southern nation. But detective Doyle's inquiries aren't welcome and his life, along with Jack and Scarlet are in terrible danger. Jack wants justice for his friend, but when an assassination plot unfolds, and so far away from home, all three may be way over their heads this time. I'm absolutely enamored with Ignatius Doyle. He's eccentric, has an endless supply of cheese in his pocket and tells the most outrageous stories about his past endeavors. He reminds me of a quirky Johnny Depp character. It may be the Jack Mason Adventure series, but the detective is the real star. I can't get enough of his antics. 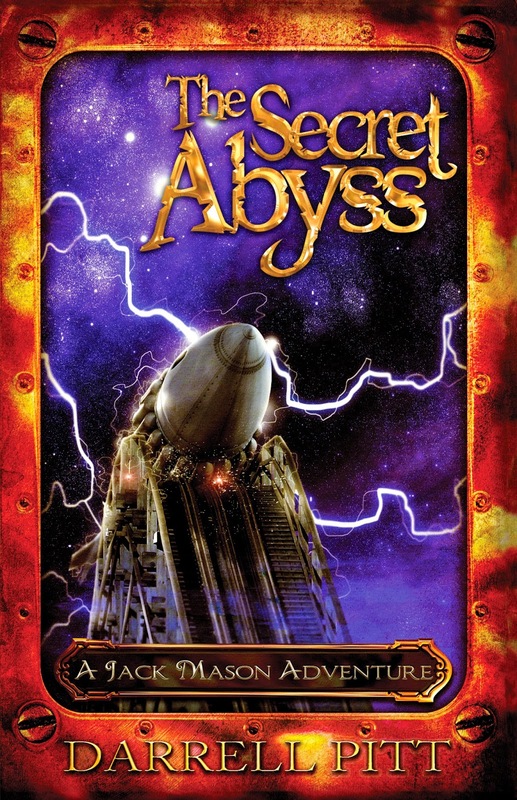 In The Secret Abyss, we see both Jack and Scarlet now working for Mister Doyle and their latest case brings an old friend of Jack's to their doorstep with a cryptic message during his dying breath. It takes the trio from their base in London to New York City, where industry is thriving and a civil war is on the verge of breaking out. Like a modern day Nancy Drew, Jack Mason is intelligent, endearing and even more likable with each book in the series. But I absolutely love Scarlet. She's such a strong and independent young lady who brings a feminist approach to the male dominated world, with her book heroine and girls can do anything attitude. Scarlet always took great pleasure in point out to Jack and Mr Doyle the inequalities that remained between men and women, the most glaring of all being the right to vote. More women were protesting for equal rights every day. It's such a strong social message for girls, and being aimed at the middle grade market, Scarlet is one of my favourite characters within the genre. 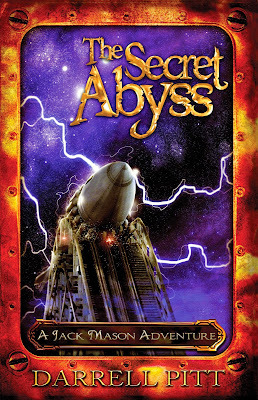 The point of difference that sets the Jack Mason Adventure series apart is that each book could easily be adapted into a kids television series. A new adventure every week. I'm really enjoying the character growth and the tentative friendship blooming between Jack and Scarlet. They each compliment each other and make a formidable team. I love the adventure and being able to explore an industrial New York that is powered by steam through Jack's point of view. I hope the series allows readers to travel to other continents as it progresses as well. A brilliantly quirky series that will delight the young, and young at heart. She really is Jeann, and considering the middle grade age group, she's a brilliant and strong your female heroine that I think girls can really relate to.